Colour varies from yellowish green to grey green. In warmer areas of the country there may be 6-7 generations per year. They often cause damage to crops and scouting the crop will allow detection of caterpillars while they are small and allow treatment before damage reaches a high level. Damage by diamondback moth caterpillars often appears in combination with that of cabbage white butterfly caterpillars. Either on its own or in combination with the latter application of an insecticide can be worthwhile. 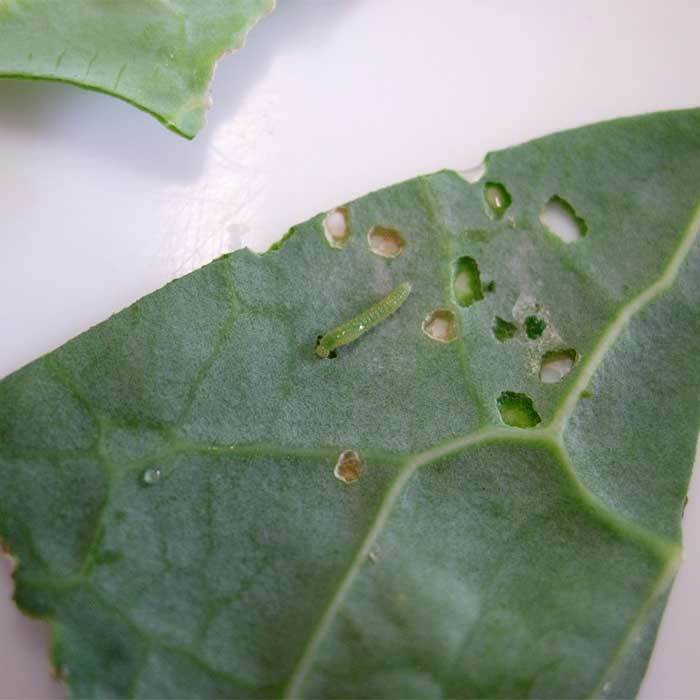 Several insecticides are registered for use against diamondback moth caterpillars in forage brassica crops. These should be applied as early as possible to prevent damage becoming extensive.